National Refrigeration are manufacturers and suppliers of Cold Room Units. We make customized cold room units. This cold room units maintain the temperature of the unit from -40 degree centigrade to 10 degree centigrade. 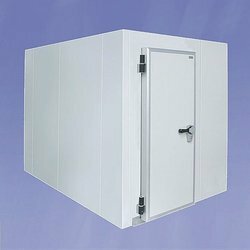 Equipped with sophisticated components, our cold room units are appreciated for their durability. Our product has high quality with competitive price. Looking for Cold Room Units ?